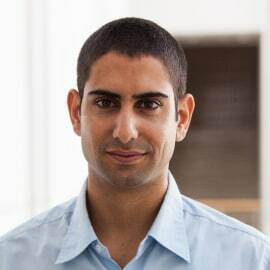 Ofer Ben-Noon is a co-founder and CEO of Argus. Ofer is a passionate entrepreneur with vast cyber security experience who previously served as Captain in the Israeli IDF intelligence unit 8200. Ofer has previously co-founded CampusVille and took part in two Israel Defense Prize winning projects. Ofer holds a B.A. with honors in Computer Science from IDC, including Management and Entrepreneurship studies at Wharton, UPenn. Ofer is also a graduate of the prestigious “Zell” entrepreneurship program.